The buzz about cryptocurrency is increasing, people have heard about it, and more and more people want to find more about it, and find a way to be a part of it. When blockchain technology came, so many things changed, for better, we say. So many businesses have improved, so many companies have started using crypto currencies in their work. The new ideas are coming every day. People want to invest in the new projects. We have the biggest tool in the world, and it is called the Internet. The internet is a enormous base of information where we can do anything. Internet has connected the entire world. One of these projects is FriendUP, a decentralized platform that allows participants to develop programs and applications, exchange data and communicate through cloud and blockchain technologies. 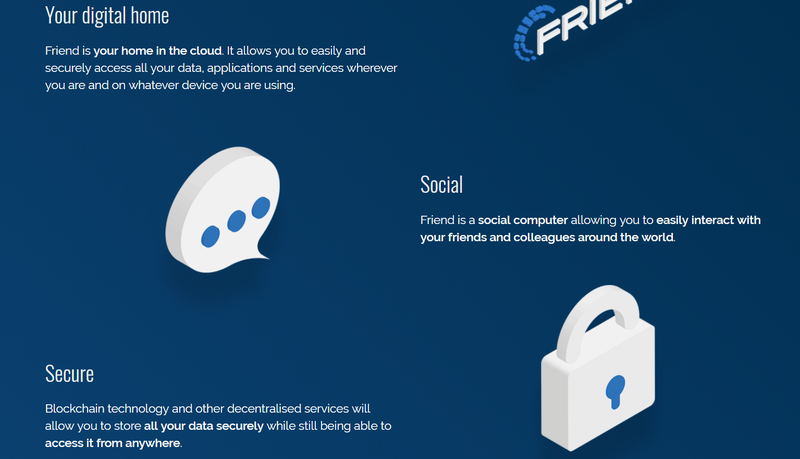 FriendUP is a decentralized platform that allows participants to develop programs and applications, exchange data and communicate through cloud and blockchain technologies. The platform enables developers and specialists to create programs directly on the Internet using cloud resources. Thanks to this, the development can be carried out in parallel, other specialists can connect to the process at any time. At the same time, thanks to the blockchain, maximum security is ensured, the project organizer controls all access to processes and information. Similarly, FriendUP can help corporations interact with outsourcers. It is easier for the customer to monitor the fulfillment of tasks, having the opportunity to observe the process and make timely comments. In addition to improving people's interaction, the system is also aimed at improving the effectiveness of working with IoT. Details of the development of the ecosystem in this direction have not yet been disclosed. The system acknowledges your privacy needs and fulfills them. It has a name – Friend. You can be a part of this project by participating in their ICO. The ‘Friend’ project works based on five primary principles – Freedom, Integration, Intelligence, Empowerment and Privacy. It offers freedom of movement, choice, communication and innovation. It allows for integration of platforms, devices, files, contacts and your digital life. It presents intelligence by automation, perception, understanding and extension. It empowers the individuals, groups through freedom and ownership. It offers privacy for your data, contacts and decisions. Friend unifying platform is the first ever open source virtual computer. Its design favors decentralized secure computer. It is built for the next gen blockchain technologies. Thanks to blockchain 2.0 through projects like Ethereum, internet is getting decentralized. The missing part of the puzzle was harnessing the processing power to create a fully functional computer operating environment. That is exactly what Friend would be doing. The project has surfaced after three long years of development. Behind the scenes is a visionary team. The project is based on powerful open source technology which is gracing with its presence everywhere today. Friend runs any program on any device. It comes up with tons of web native apps. It improves your overall computing experience for internet. It offers a real opportunity to work and collaborate anywhere. Friend operates as an operating system to unify tons of web applications. It gives these apps an enriched ecosystem to thrive in. It presents a coherent user interface for a range of devices. The open source web technology helps unify various APIs and protocols. It finally puts the power of internet to hands of everyone, thanks largely to decentralized setup. The bounty program for tokens is already announced in Bitointalk forums. You will require a proper Ether wallet to store tokens. Coinbase accounts doesn’t support ERC20 tokens which is the standard followed by FRND tokens. ERC20 compatible wallets such as MyEtherWallet or MetaMask should help. For every ETH you can get 20,000 FRND tokens. Presale and early contributions include a bonus of up to 20%. You can contribute as low as 0.1 ETH during token sale. The maximum limit on number of FRND tokens in the system is 2 billion. It will not increase from the set total token supply. 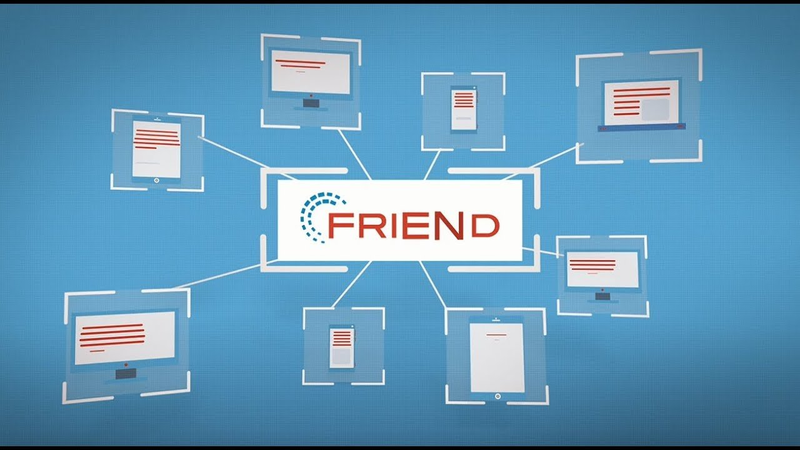 FriendUp enables new applications to be linked to other applications running on the network to create original functionality. Distributed systems can be created that allow the sharing of both data and functionality, software, computing power and storage across multiple nodes. Friend means there is no deployment cost. When a developer deploys an app on the Friend network it immediately becomes available worldwide through decentralised technologies. The Friend Store provides developers with the facility to monetise their apps without the need for a middleman. Virtual Friend Cloud Computers can be created with applications, storage, workgroups and so forth accessible from any web enabled device. In addition to built-in storage, users can integrate with alternative storage solutions such as Dropbox and Google Drive. Friend store is the FriendUp marketplace. Users can access products and services provided there in exchange for FRND tokens and developers can monetize their applications there. Developers and other vendors can publish their applications there and a variety of alternative monetisation models can be used. All apps deployed there will be subject to validation, testing and rating based on a transparent objective checklist. There will also be the facility for providing discussion, feedback, and reviews. The presale provides investors with a 20% bonus of tokens. The total pre-sale tokens are 24,000 FRND with a minimum investment of 0.1ETH and a maximum investment of 3,334 ETH. There are three ICO goals all considered viable and each with a specified development program. The goals are: minimum funds to be raised — 25,000 ETH; medium funds to be raised — 50,000 ETH; maximum funds to be raised — 75, 583.3 ETH. 6% of tokens generated will go to the Friend team and 12% will go to the business. Arne Peder Blix, CEO and founder. MBA, serial entrepreneur, more than 20 years in business. He held executive positions in a number of large companies. Hogn Titlstad, COO and co-founder. He led the previous projects of Friend Studios AS and Friend Software Labs AS. Thomas Wollburg, CTO. He founded and successfully launched several start-ups, more than 10 years in the IT industry. Mikko Terho, counselor. СТО Huawei. Mark Turrell, counselor. СЕО Vork & Orcasci. Alexander Bakos Leirvag, Counselor. An innovator in Grid Labs. The project is at the Pre-Sale stage now. ICO is scheduled for April 16. The project site does not have a standard road map, so further plans can be assessed only after studying White Paper (in which, unfortunately, there are no specific dates for launching the next versions of the platform). 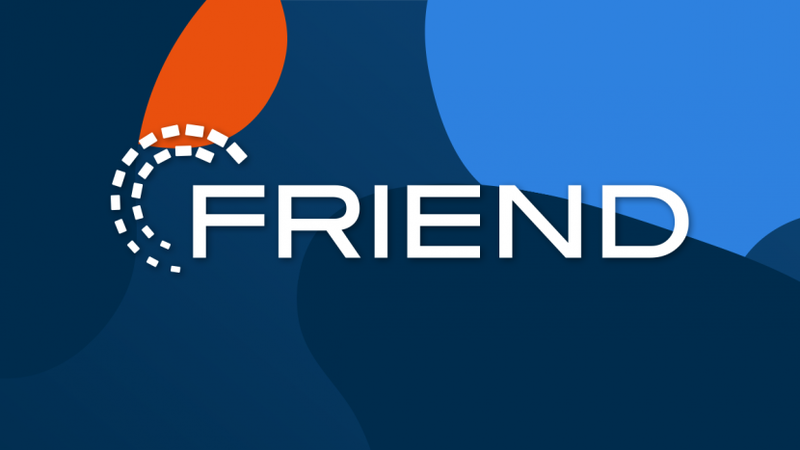 Nevertheless, FriendUP is built on the basis of the already existing Friend Software company, which has a ready prototype network, as well as a working version without blockchain.